As of last week, Miles was accepted into the University of Southern Maine’s Masters in Education Program! He’s very relieved and excited of course, and will start classes and student teaching in January 2015 and will continue for 13 months. I was almost positive he would get in, but you never do know. We agreed that if he didn’t get in to school, that we would thru-hike the Pacific Crest Trail next year. So it looks like we may hit up the John Muir Trail next year and maybe the PCT in 2-3 years (fingers crossed!). This second thru-hike talk is in early stages, but as much as I thought I would never do another thru-hike, it’s been on my mind a lot lately. I can certainly attest to the fact that It’s very, very difficult to get the trail life out of your head. 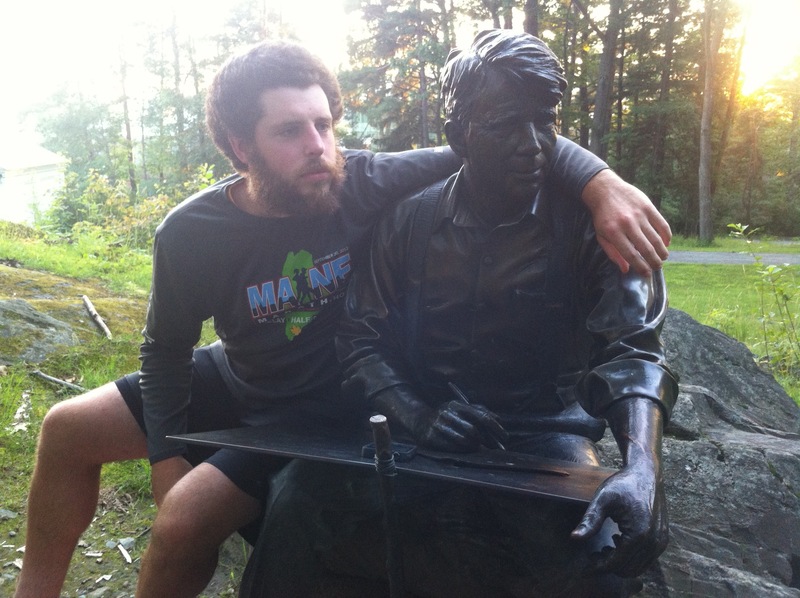 Miles to Go hanging with Robert Frost at Dartmouth in July. And, we’re famous at the Doyle Hotel in Duncannon, Pennsylvania! One of the most well-known hotels on the AT, it’s hard to forget this place. 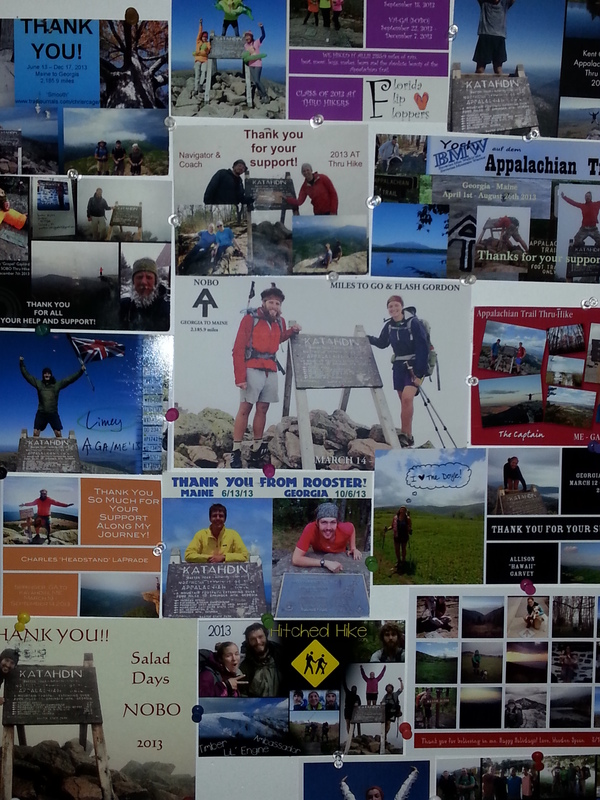 Our good trail friend, YOLO, who is back on the trail to finish up the last half from Harpers Ferry to Katahdin this year, sent us a photo of the 2013 hiker wall there. Thanks YOLO and good luck in Pennsylvania! Life goes on after the trail, yet it calls you back again and again in many different ways. I often pass the Doyle Hotel when i take an alternate route home from work every Friday and often think of you courageous thru hikers. Happy hiking! It was great to see your blog and keeping us posted! Congratulations, Miles! I’ll be looking forward to hearing about your adventures on the John Muir trail and keeping my fingers crossed with you for the PCT! “Oh, the Places You’ll Go” !! I was just at the Doyle last week and was going let you know. In fact your thank you card is nearly everywhere. Great job.